Are you an inherently bad person, or do you have the correct opinions? If you’re unsure, or need guidance from the morally virtuous on how to avoid causing offence, then Titania McGrath’s Woke is the answer to all your prayers (whichever deity you pray to). If you’ve ever created a social media account and vouchsafed an opinion not entirely endorsed by liberal metropolitan types, then you will undoubtedly have encountered a fearless crusader like Titania McGrath. Social justice warriors tirelessly and selflessly trawl the interweb looking for something to be offended by. Once an opportunity has been sourced, the offensive individual is then “called out” for having the wrong opinion, and hopefully shamed by a pile-on of screaming SJWs into realising their error and either revising their views or being forever shunned from polite society. By following Titania McGrath’s bible for wokeness, you too can be a disciple for politically correct thought and know when a witch-hunt against infidels is necessary. McGrath explains all this early on, “YouTube, Twitter and Facebook have made it explicitly clear which opinions you are allowed to have. If you don’t want to be censored, don’t say the wrong things. It really is that simple.” Having already been banned from Twitter herself for causing ‘offence’, Titania should know (and if you ever dip into the quagmire of wokeness provided by that platform, make the descent to hell worthwhile by following @TitaniaMcGrath). Woke is the funniest, best-crafted satire against the stifling conformity and censorship of illiberal liberals that I’ve ever seen. What’s so good about it is that McGrath runs through the full gamut of leftist doctrines – there are pot shots at the full dog’s breakfast emanating out of gender and identity politics. By the final page of Woke, no absurd shibboleth remains neglected or unmocked. What’s important about Woke is that the arena of comedy is generally considered to be left-wing: the comic punching up at the source of ‘oppression’, which is usually monarchy, organised religion, government or other power structures. That the left has become ripe for ridicule is a good indication of the shifting power base. The movement is yet to be as powerful and bloodthirsty as it was during the violent insurrection of Mao’s Cultural Revolution (when Titania McGrath would have been an early victim of the Red Guard) but enjoy whilst it lasts the liberty of being able to read Woke and laugh out loud in public (bravo to Constable for daring to publish it). Who knows, if McGrath’s unwaveringly accurate demolition job reaches enough readers, perhaps it will irrevocably puncture progressivism. McGrath’s writing is tight and unstintingly joyous to read. Woke runs to only one hundred and fifty pages, which is perhaps just as well, as it’s laugh-to-word ratio would mean that any longer and it would have to be issued with a health warning. Her style includes full-on satire, taking an argument to its ludicrous excesses: “We should give all newborn babies numbers rather than names until they are ready to determine their own gender identity.” She’s also great at allowing the far left to be hoist by their own petard by quoting them immediately after demolishing them. “Debates are all very well in principle, but there’s no need to represent all sides of an argument. One protestor, Niamh McIntyre, said…” And McGrath is the queen of the back-handed compliment, throwing chunks of raw meat to satiate her readership. 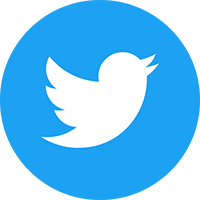 Having quoted progressive darling Owen Jones on freedom of speech, “…a term the far right wilfully abuse to spread hatred,” McGrath adds, “…it isn’t just left-wing journalists such as Jones who have reached this conclusion. Many intelligent and charismatic people feel this way too.” Delicious! There are plenty of examples of her seemingly endless creativity as a radical intersectionist slam poetry – deliberate doggerel of the most wickedly astute and witty kind. I especially enjoyed Cultural Appropriation and may have the words tattooed across my chest for others to enjoy its profundity. Which segments you favour will depend upon your predilections. For me, the chapter on Brexit proved especially outstanding. Seeing the worldview of the entitled demolished by unrelenting irony is perhaps of greater weight than many an op-ed from an angry columnist. After reading that chapter I could gladly have kissed or hugged McGrath, were it not for fear of enacting a microaggression through my toxic masculinity and inherent misogyny. Through Woke’s instructions, McGrath also takes down (sorry, educates you on the importance of) veganism, the patriarchy, race, feminism… you name it. Woke is the perfect antidote to the sterility and humourlessness of its actual joyless proponents. There will undoubtedly be concerns that the reading and disseminating of Titania McGrath’s Woke will lead to radicalisation and extremism. As she warns us, “Let’s not forget that Al-Qaeda started off as an improvisational sketch group.” But what it will really achieve is to provide succour to those sickened of and silenced by the intolerance, hypocrisy and censoriousness of progressives. 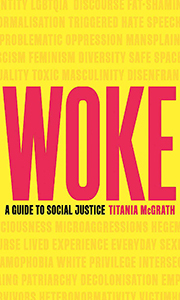 Woke is a delicious tonic for those weary of urban hipster group-think, but sturdy enough to take a stand in the culture wars. It will preach to the converted, for sure, but McGrath’s laser-focused satire will demolish many a house of cards for those who haven’t quite thought their way out of the stifling confines of radical leftism. If Woke does not prove their wake-up call, nothing will.